Since joining Figari + Davenport, Ms. Reece has gained experience in a variety of practice areas focusing on business and insurance litigation. She has represented clients in commercial contract and commercial lending disputes, consumer protection suits, prompt pay provider disputes, and matters related to title, life, health, and disability insurance in both federal and state courts. 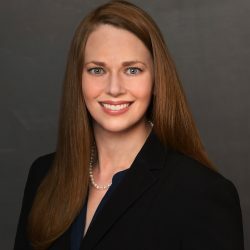 Ms. Reece also has significant experience on cases related to ERISA, the federal Telephone Consumer Protection Act and the Fair Credit Reporting Act. Prior to joining Figari + Davenport, Ms. Reece served as a law clerk for the Honorable Richard A. Schell in the United States District Court for the Eastern District of Texas for three years where she gained extensive experience analyzing varied and complex cases from initial filing through final judgment. Ms. Reece plays an integral and active role in her cases, working to develop the facts of each case, drafting motions and briefs, and participating in the formulation of case strategy.